My name is Eli Nicolson. I am 17 years old and from Northfield, Massachusetts. I have lived in New England my entire life and I love this area. I am a huge Patriots, Red Sox and Bruins fan. 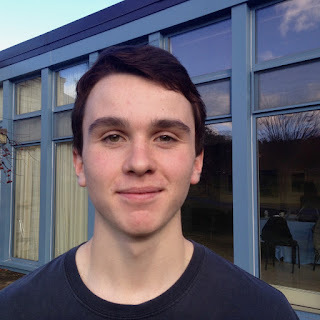 I play baseball here at NMH and I am also a member of the World Music Percussion Ensemble. In the past I have been a member of Model Congress, Model United Nations, Mock Trial, and various other organizations that involved policy and government. These organizations gave me an interest in Social Entrepreneurship (though I didn’t know the term at that time), because I saw the line where policies failed and social service wasn’t enough. When I applied for this course, I began by researching the opioid epidemic in the entire northeastern region. I was astonished at the magnitude of this problem and the complexity of it as a whole. It is hard for me to describe the feeling I felt when I learned that in Greenfield, my own community, with my own friends, had an increase in heroin overdoses by 312% since 2012. In this course I not only hope to help my community in need, but also help develop solutions to the opioid epidemic that will help other communities in need as well.